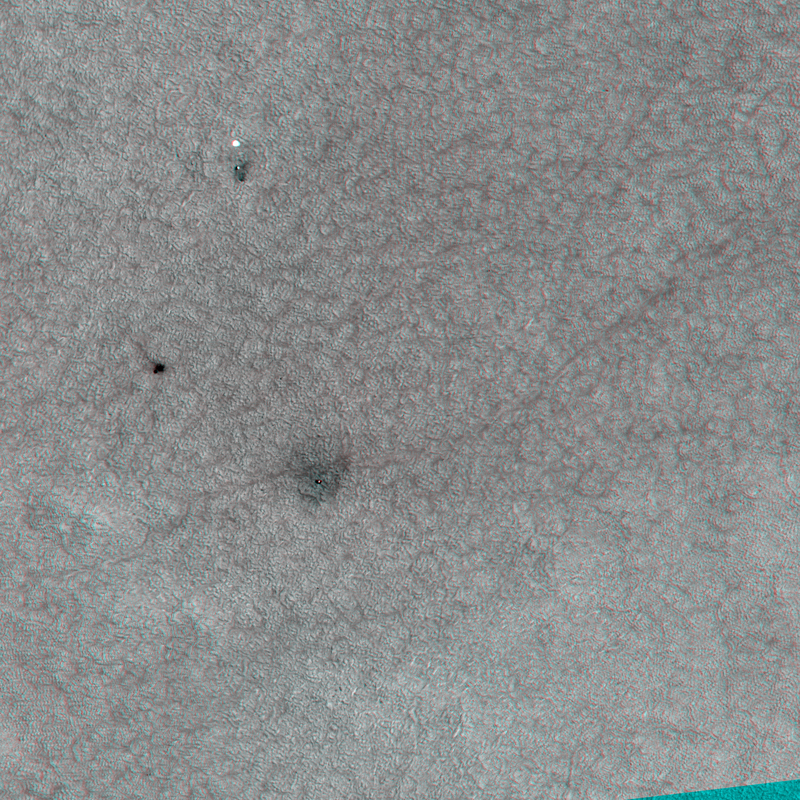 These anaglyph images reveal the Phoenix landing site to have uniform terrain with little topographic relief. 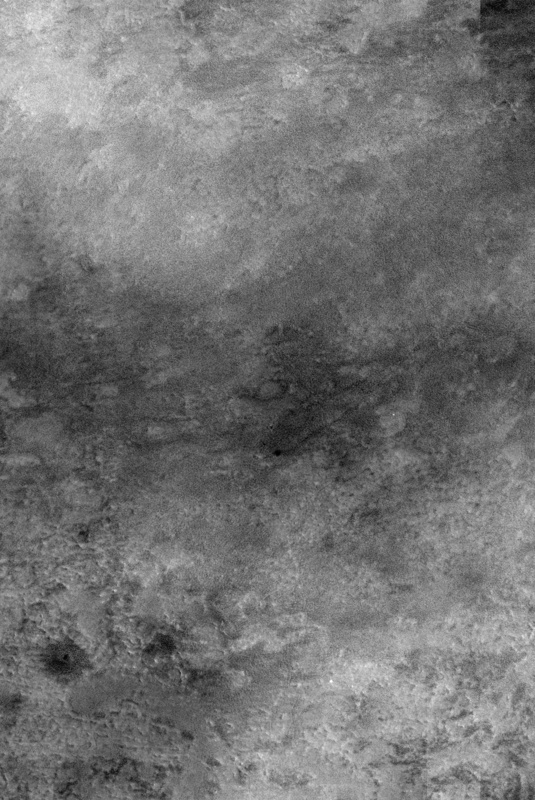 However, it is possible to see some terrain differences. The parachute and backshell anaglyph shows the backshell projecting up above the surrounding terrain explaining why it is visible in images from the Phoenix Lander SSI camera. The parachute is flat on the surface and situated in a small depression making it unseen by the SSI. 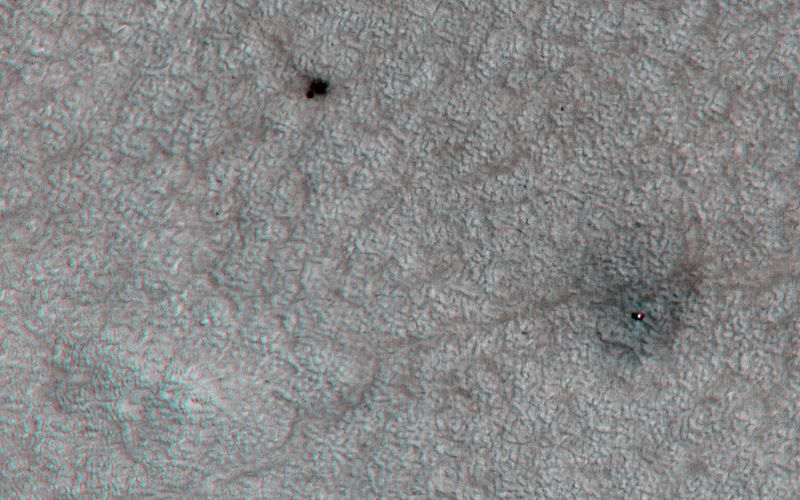 The Phoenix Lander anaglyph shows the Lander also projecting above the surrounding terrain. 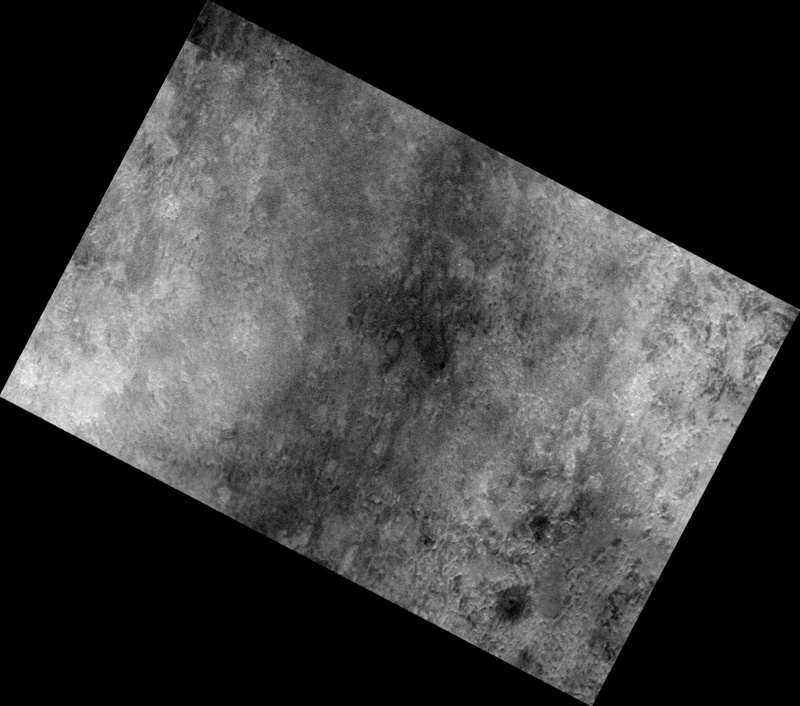 A topographic rise is visible to the left of the lander. 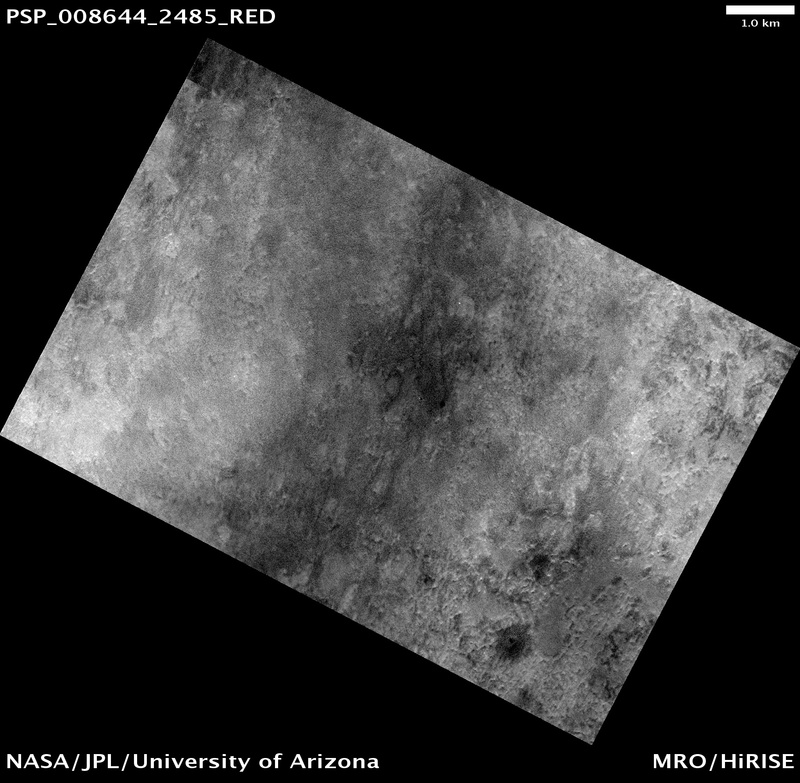 The troughs and bulges of the polygonal terrain can also be seen. A larger view of the Phoenix landing site is available here. 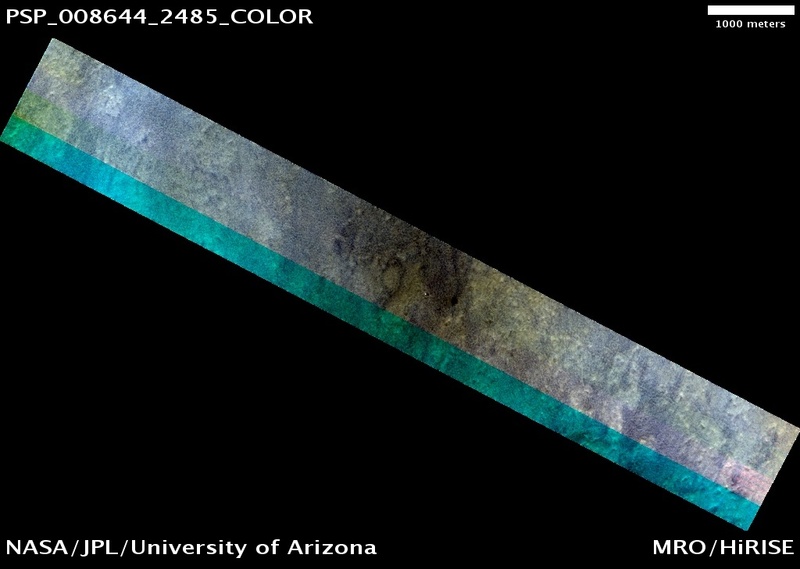 The topographic relief is exaggerated because of the large differences in look angles (approximately 27 degrees) between the two images (PSP_008644_2485 and PSP_008591_2485) that make up the anaglyph. 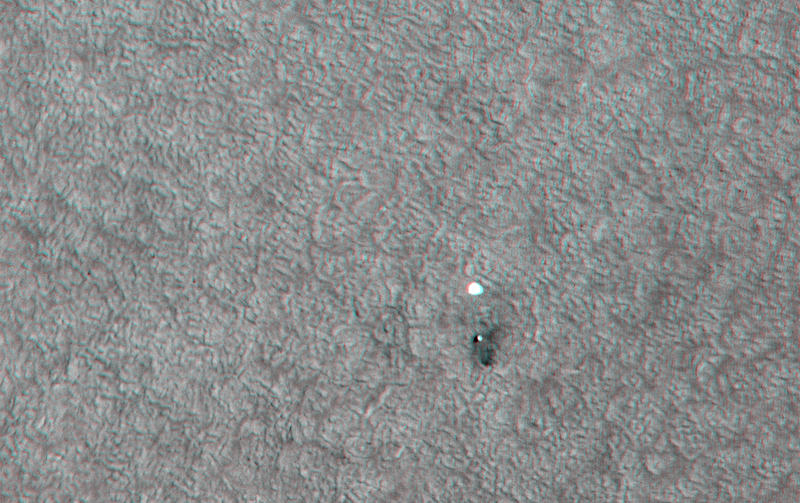 The anaglyph images maintain the original viewing geometry with north down.